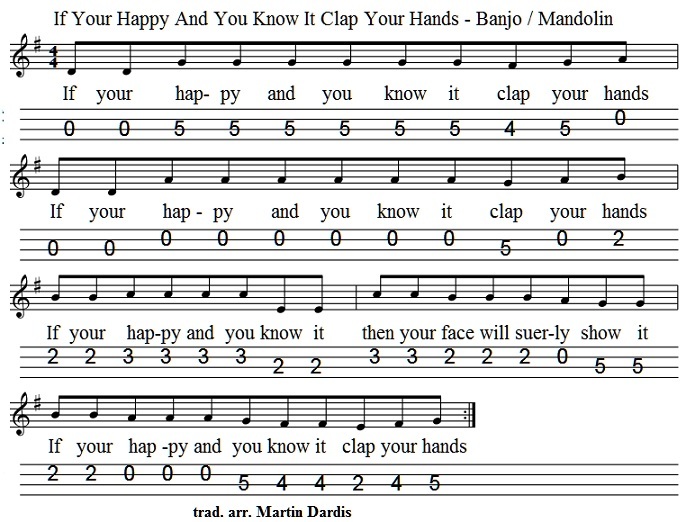 If Your Happy And You Know It Clap Your Hands tin whistle sheet music and mandolin tab. 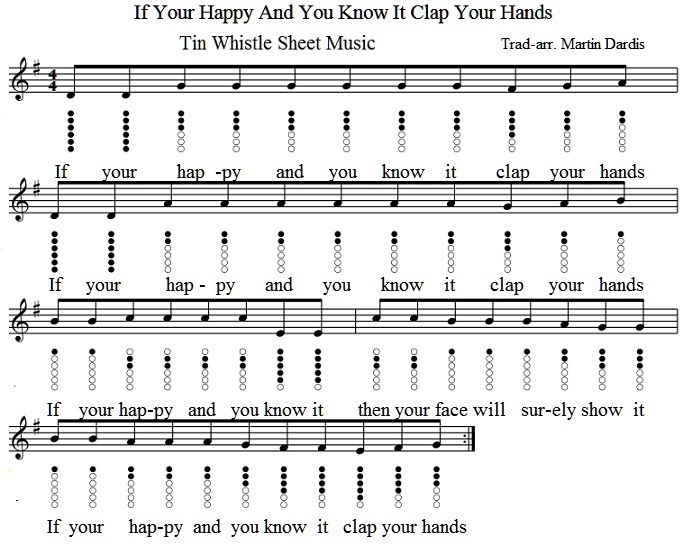 A children's nursery rhyme. Youtube video lesson for beginners.